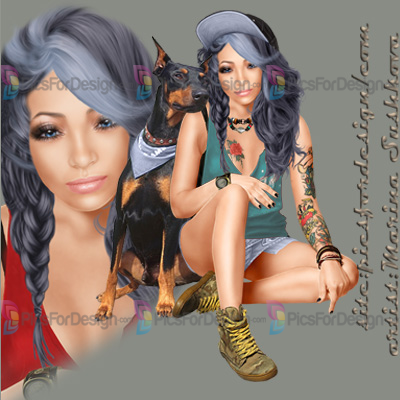 Girl_with_dobermann - Illustration store PicsForDesign.com. PSP tubes, PSD illustrations, Vector illustrations. Girl, dog, tattoo, long hair, baseball cap, shirt, headphones, mood.